It’s been a long time coming, but someone has finally developed a fluorescent lighting array that isn’t completely hideous — just somewhat hideous. 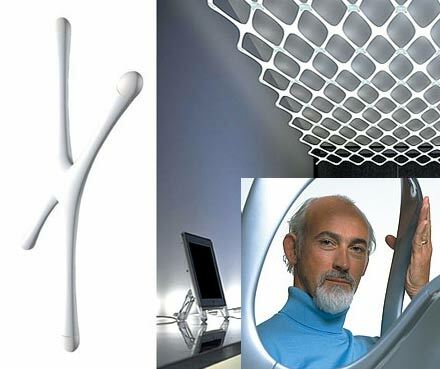 Shakespearian actor (see photo) Ross Lovegrove’s diabolically named System X (designed for Japanese manufacturer Yamagiwa) allows for all sorts of interesting and “artistic” combinations of the X-shaped bulbs, permitting large, linked arrangements, or simple, singular set ups… or circles. Truly a minor development in the de-uglifying of offices everywhere.